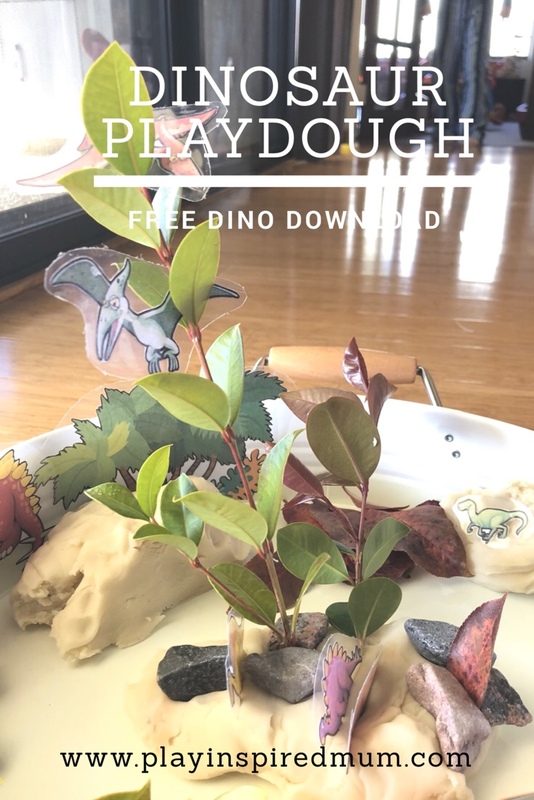 Home / Fine Motor Activity / Creative Dinosaur Play Dough Stomp! 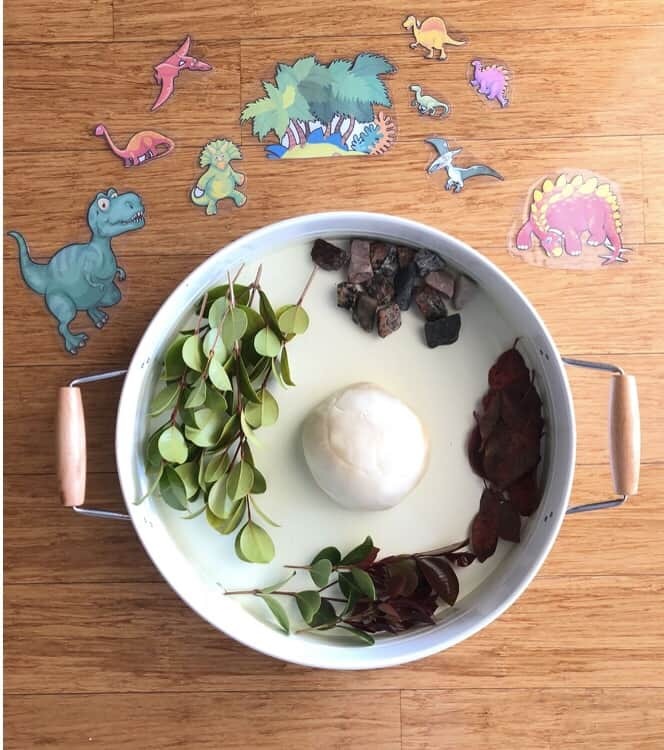 Dinosaurs and kids pretty much go hand in hand. I haven’t met many who aren’t keen to start roaring and stomping their feet while showing off a toothy grin. 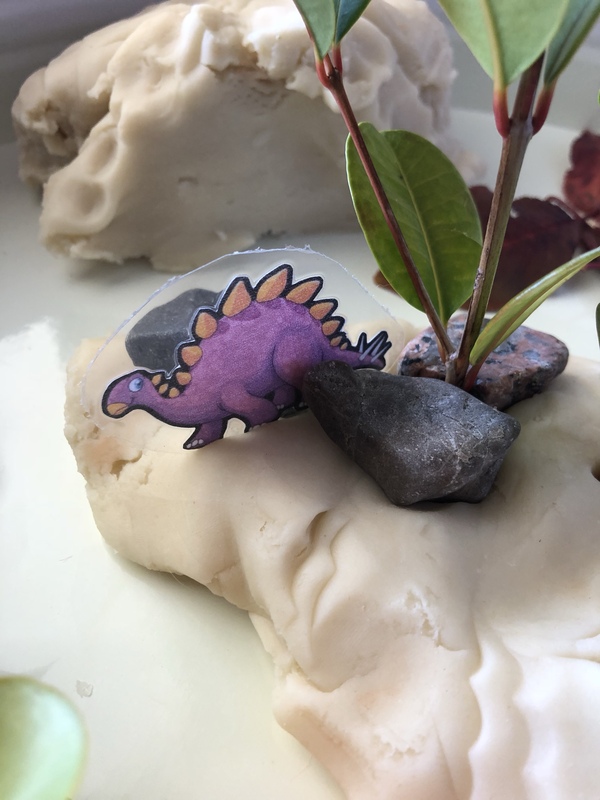 After laminating these dinosaur printables, I thought what better way to introduce them to the kids than by having them create a lovely home for our new prehistoric playmates. 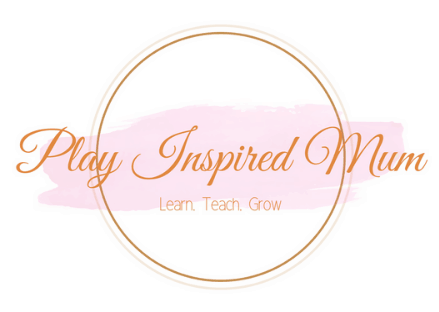 My goal was to give little guidance to encourage the kids to be more creative. 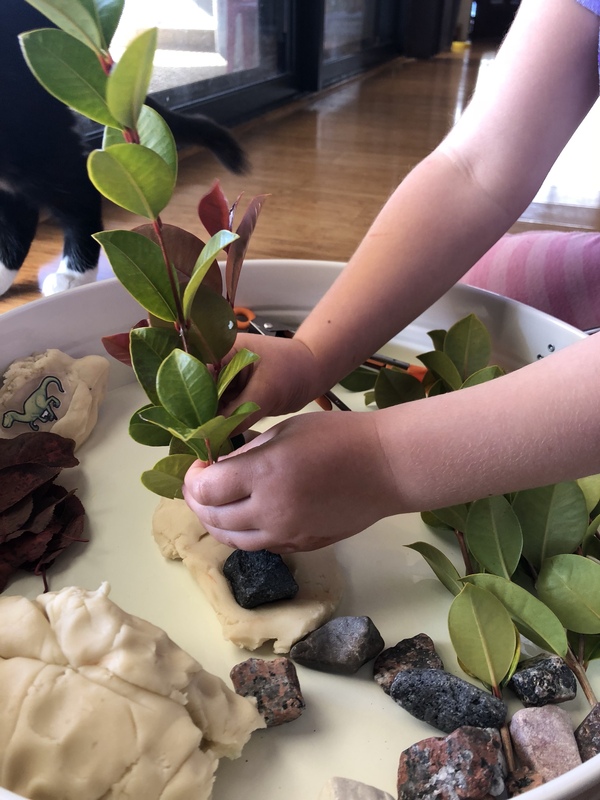 I trimmed some branches off some shrubs from our garden, collected some stones from a path in our front yard and teamed them up with some natural playdough. 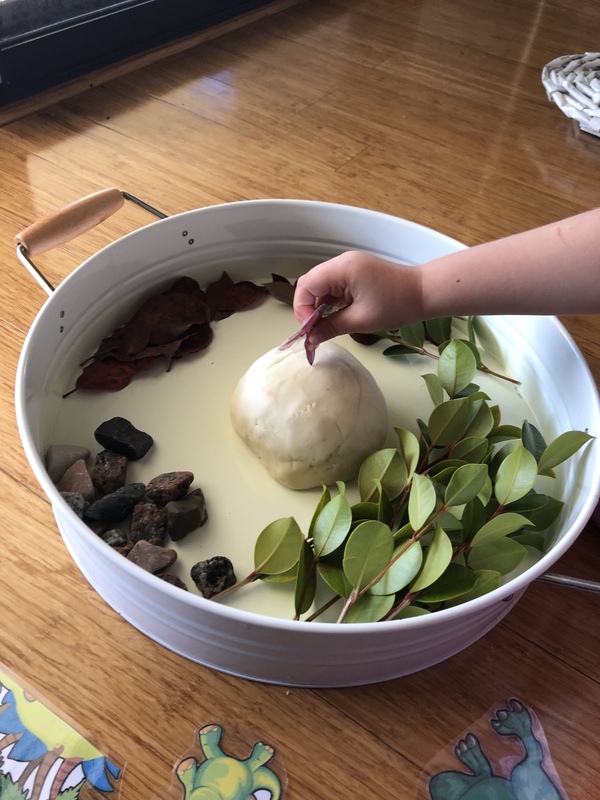 Miss 4 took to the challenge straight away. 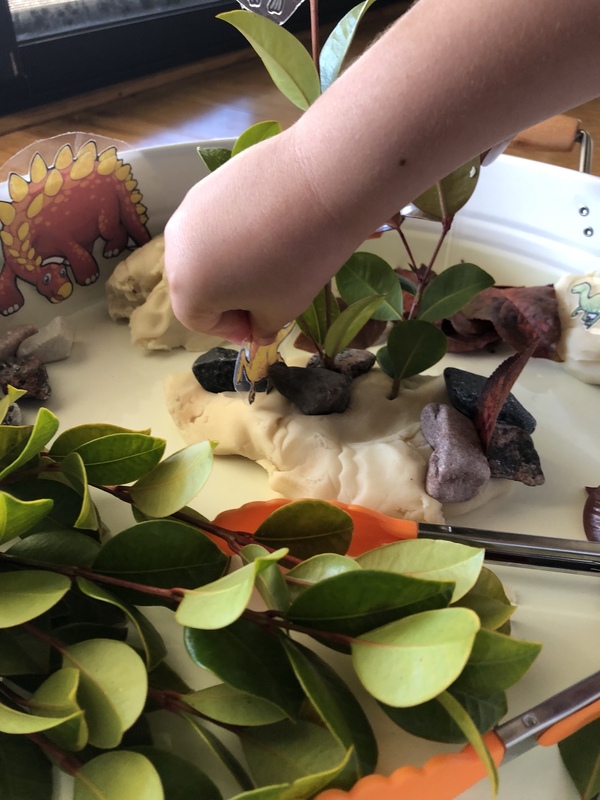 After a quick meet and greet with the dinosaurs, she set to work creating a Dino jungle! 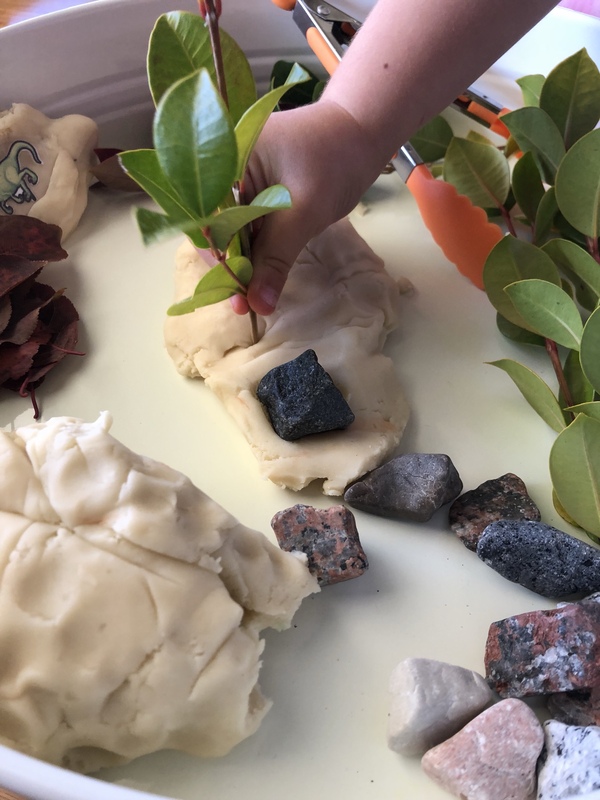 She started pressing the branches into the playdough creating tall ‘trees’ however being so too heavy, they kept falling down. With her frustration rising, I suggested trying something different to fix the problem. Sometimes, a lot of the time, she tends to get stuck on the problem rather than finding the solution. 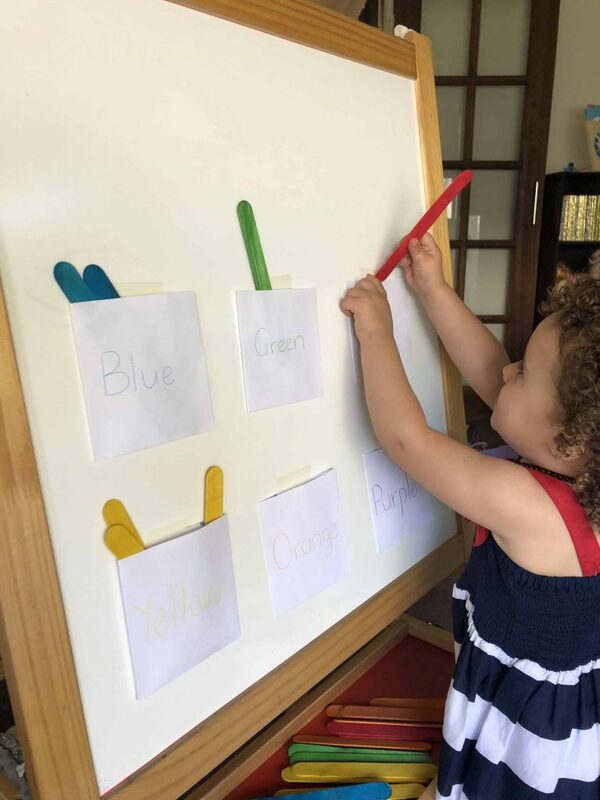 This little prompt was just the reminder she needed to “focus on the solution not the problem”. 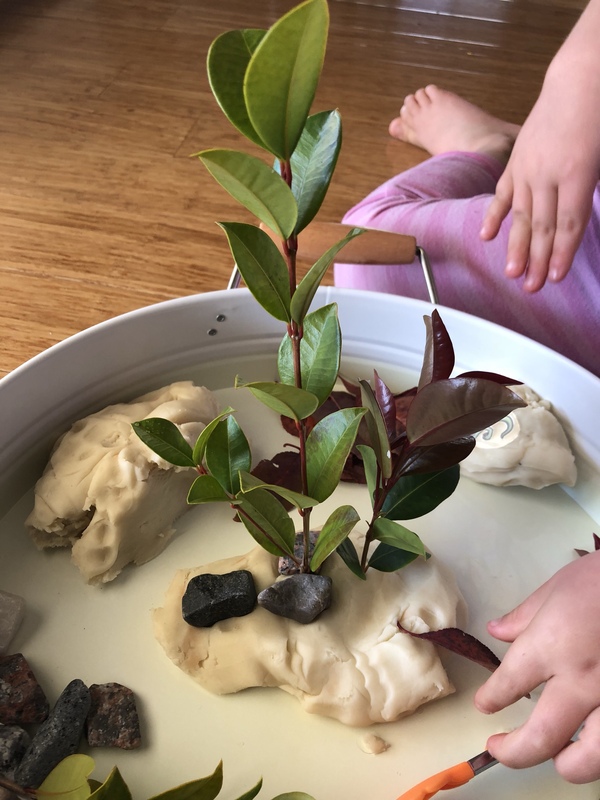 After trialling a few different techniques to secure the branches, she found that a little mound of rocks at the base was the most successful. 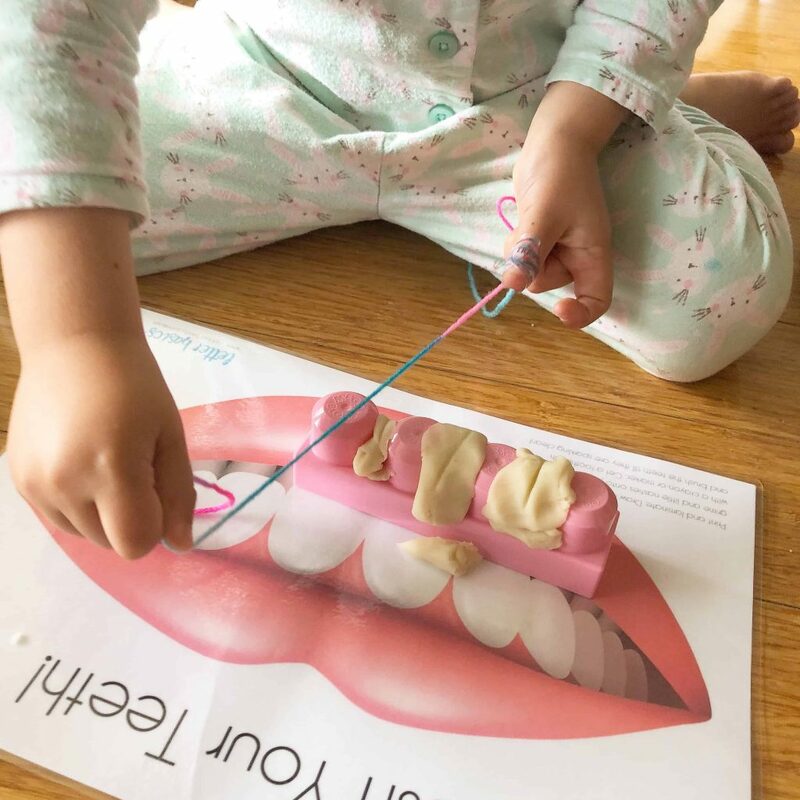 I only hope that this little lesson stays with her and will help her build some resilience to challenges in years to come. 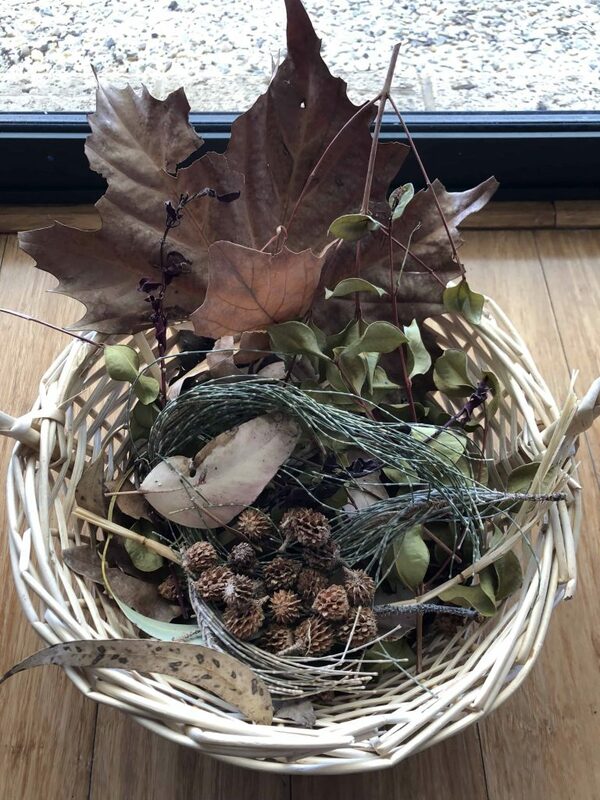 Come to think of it, even as an adult too. 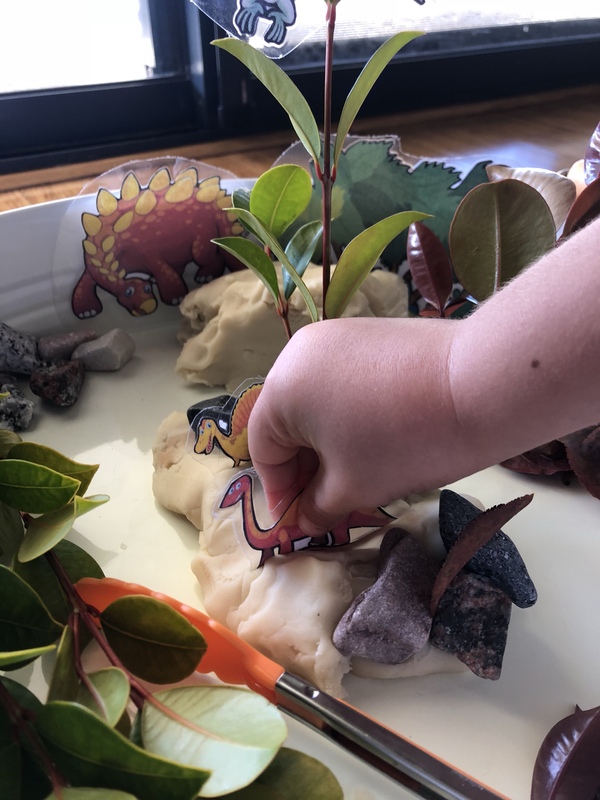 As the Dino’s started to move in to their freshly landscaped habitat, we discussed which dinosaurs ate what, how they used to protect each other and where they may like to live. These are a words we used and spoke about while securing the Dino’s to their stations. 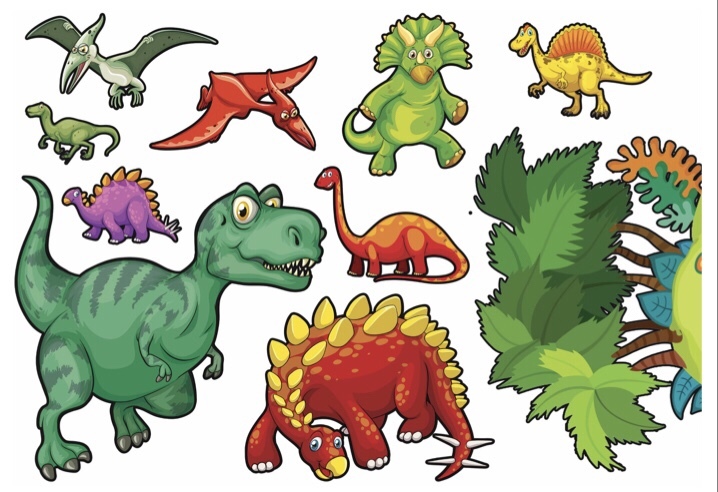 Our Dino friends settled into their new homes well – thank goodness! 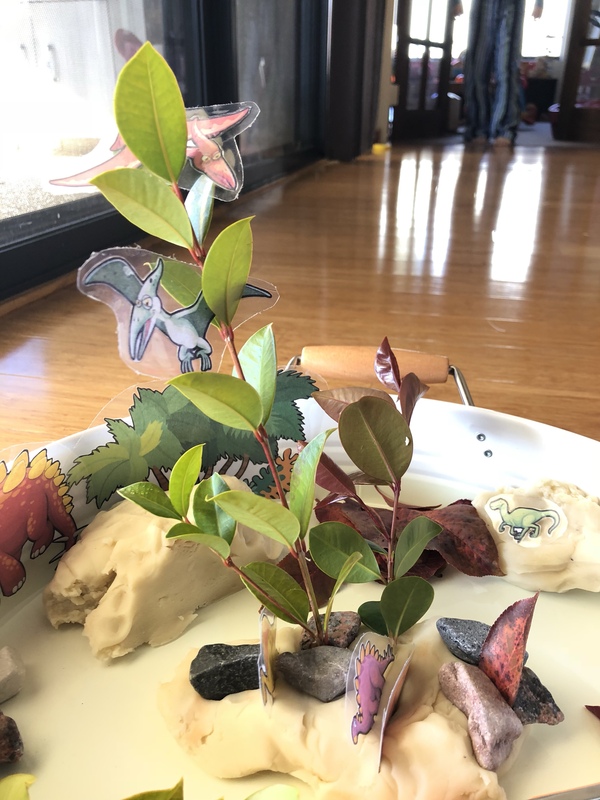 It just goes to show that you don’t need any fancy equipment or toys. 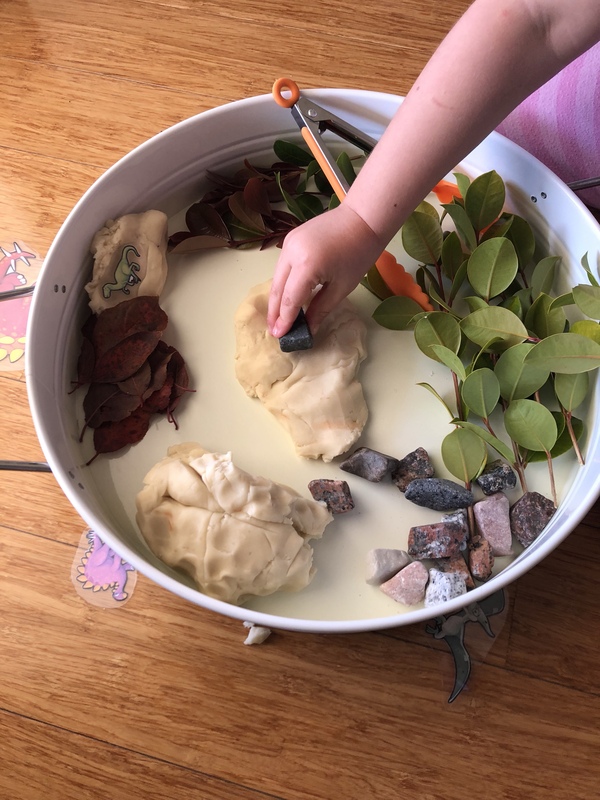 Some snips and foraging in the garden added to some plain looking playdough and presto – a fun and engaging activity! 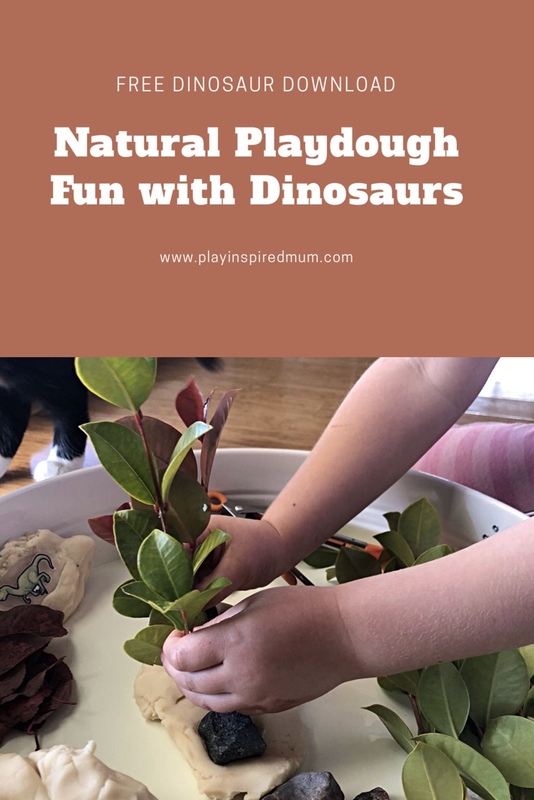 Is your child Dino mad? 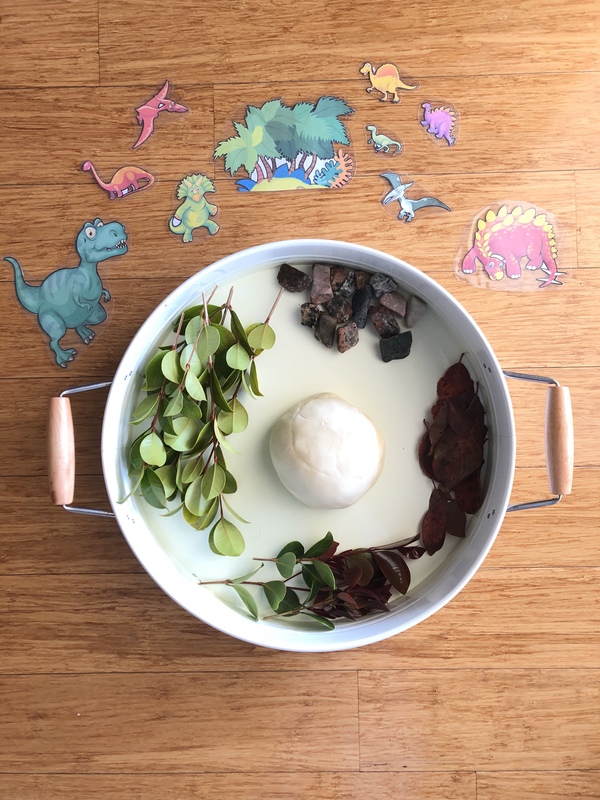 Check out this Dino filled Ready for Kindy Pack! Next ArticleGoing Nuts Over Rainbows! 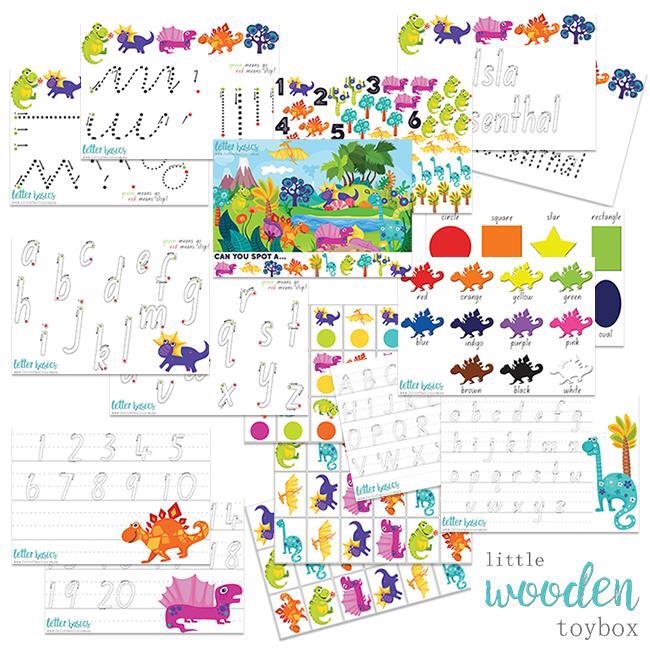 You always have the best things for children to do!